2018 is almost here, and let’s face it, there is a lot of pressure to set goals—or at least attempt to. While personal and professional motivations for goal-setting vary, the data shows us that they tend to work, when done right. In fact, when we are thoughtful about the way we set goals, we thrive on the motivation they provide. Hint: motivation provided at the end of this article. All said, I know personally that goals are generally easier to talk about than they are to sit down and write, let alone achieve. 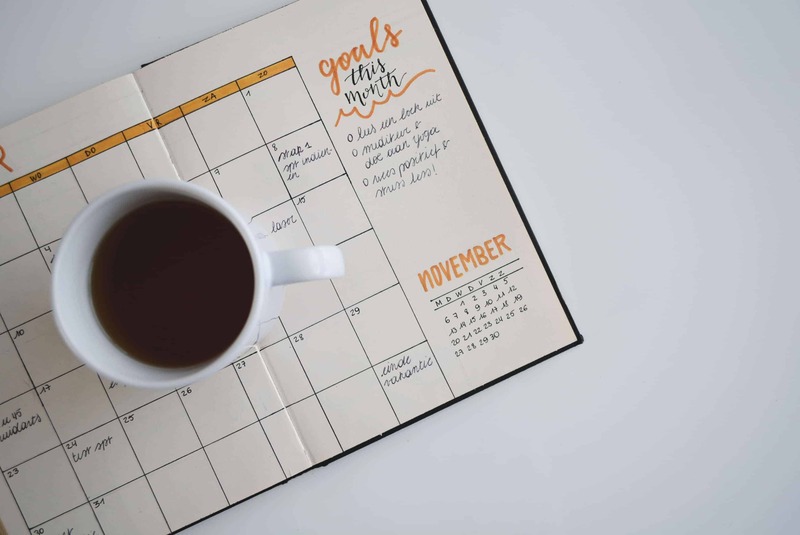 We’ve all been there before: intent on going into the new year with strong, actionable ideas about what we want to achieve, but not knowing how to break them down into manageable, and realistic goals. 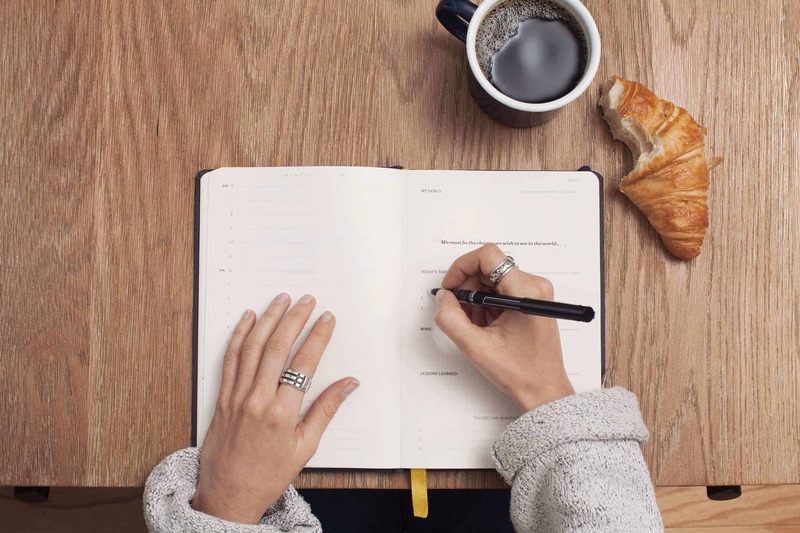 So, to address the elephant in the room, we came up with a straightforward strategy for setting goals, using a number of tools that many of our customers are already familiar with. For those of us expecting to reach the next level of growth in 2018, newsflash: the goal-setting season is currently in full effect. Your goals should be a roadmap for getting you from your starting point to obtaining whatever outcomes you desire. This is one of those “remember where you came from” tips. It’s almost impossible to determine new goals without first reflecting on the ones you’ve either already reached or have considered working toward in the past. Here at Shift, we begin every brainstorming session with a recap of prior goals—whether that’s goals we achieved last year or ones we just established the week prior. Doing this helps us to make sure that any new goals and plans of action we come up with are aligned with our overall objectives. Not only that, this reflection reminds us of where we are on our journey and what makes the most sense for the team, our clients, and our business. The reflection process will give you the foundation necessary to determine goals that are actionable, realistic, and rewarding. This is the stage where you’ll be mapping out the details of your goals. This step aligns with what most refer to as creating SMART goals; these are goals that are (S)pecific, (M)easurable, (A)ttainable, (R)ealistic, and (T)ime-sensitive. Broad and unfocused goal-setting is nothing but a waste of time. Exactly, not far at all. Our SMART goals identify the who, what, when, where, and why of what we’re trying to achieve…and yours should too. Hint: Another SMART thing to do is read ’til the end of this article. Goals are nothing without accountability. I mean, you can set all the goals in the world, but if you don’t hold yourself accountable for working toward them, you’ve done nothing more than come up with a few great ideas. Accountability can also be offered by others who are aware of your goals. For example, to help with accountability, we like to create sub-goals that require the input and feedback of other teams. This helps by keeping everyone on top of what’s going on, and by creating a support system that keeps things (and people) on track. Alright, Where Do I Start My List? 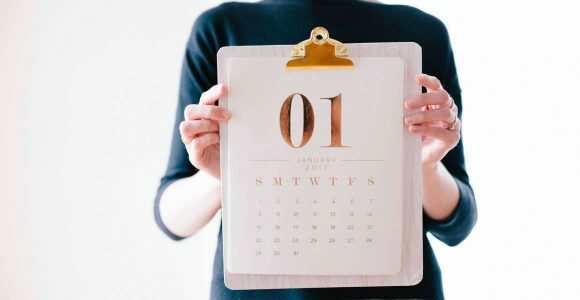 So, of course, what I just mentioned isn’t all the advice we have, but it’s a great foundation to keep in mind for those who are preparing to set goals they are serious about achieving in the coming year. Should you start with personal goals? Business goals? Long-term goals? Short-term goals? Big goals? Little goals? Easy goals? Complex goals? You’ll be able to identify which type of goals to hone in on by putting to use the three pieces of advice I listed above. Much like the people you depend on to provide support in reaching your goals, there are several tools that will keep you on your A-game in 2018. We recently did a little digging into the goals that our users are most passionate about and the ones they have lined up for the new year. Based on what we found out, we narrowed down 5 of the top apps for goal-managing. Remember, our users are busy professionals just like yourself, so we’re confident you’ll benefit greatly from using these same tools to help you reach your 2018 goals. Remember this too: each of these apps and extensions is accessible inside your Shift Advanced account. We noticed that a majority of our users’ goals had to do with becoming more intentional in their communication. Basically, increasing and improving in areas that involve communicating a message, idea, perspective, etc. Well, that being that case, Grammarly is an extension that will make achieving that in 2018 all the way possible. The best part? Grammarly actually sends you a weekly update on your results, and how you stack up compared to others. Next up is the goal of better email management. Seeing that email is what we do, this one didn’t catch us by surprise. We all know how it can be to have 1,000 things to do and 1,001 emails to read or respond to. In addition to using Shift to centralize your Gmail accounts, you can use the Boomerang app to take full control of your emails. With this app, you can decide everything from when you receive emails to what times your email replies get sent out and whether to send follow-up emails to unresponsive recipients. 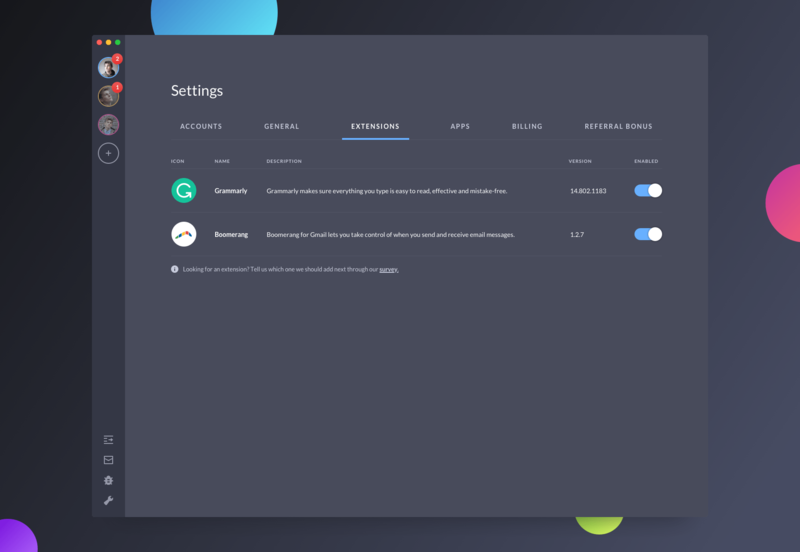 Advanced users enjoy the option of enabling the Boomerang extension on their account. Check out our article about using the notification muting and vacation responder features to better manage your emails during “busy” periods. Another consistent theme we noticed was the desire to keep up with news and topics that inspired and mattered, and find ways to use that information to become a more productive member of society. The onslaught of sponsored content, satirical and fake news, and clickbait had, for a while, begun to drown out quality, attention-worthy information. Medium brings quality back into focus with a platform that’s dedicated to delivering only the best topics that will inspire your own viewpoint, feed your need for authenticity, and reassure your confidence in quality writing. You’ll never fall short in topic ideas in 2018 when you’re using Medium. Typical for most website owners is the goal of understanding and staying abreast of their website’s analytics. Well, there’s an app for that, too! Our Shift Advanced users have the Kissmetrics app available at their disposal, making it easier than ever to simultaneously analyze visitors’ behaviors and catch up on your emails. This one allows you to make in-the-moment decisions regarding your users’ engagement, without losing productivity. Last, but certainly not least, there’s the goal of better managing our teams. This is a goal I believe we never stop trying to get better at—new year or not. But, if it’s on the top of your 2018 goal list, you’d be pressed to incorporate Slack into your daily workflow. This one is a must-use for those of us who lead or manage a team. The progress of your team is in real-time, and you can organize projects and team members however you’d like within your Slack Channels. Goals, in one way or another, see us to victory. Begin your process with noting the goals that you really need to focus on in 2018. These could be goals that were deferred or were simply overlooked in the past. Then, after you’ve gone through the advice I listed above, identify at least one app or tool that will keep you focused and intentional in your approach to achieving your goals for 2018. Q: How does one eat an elephant? *Full disclosure—no elephants were harmed in the making of this blog!!! That said, we’d be more than happy to help you get a head start on your goals today, and we’re giving away a secret coupon code to anyone who tweets to us how they tackle BIG challenges. Remember to tag @Get_Shift, follow us and check your DM’s for the code!